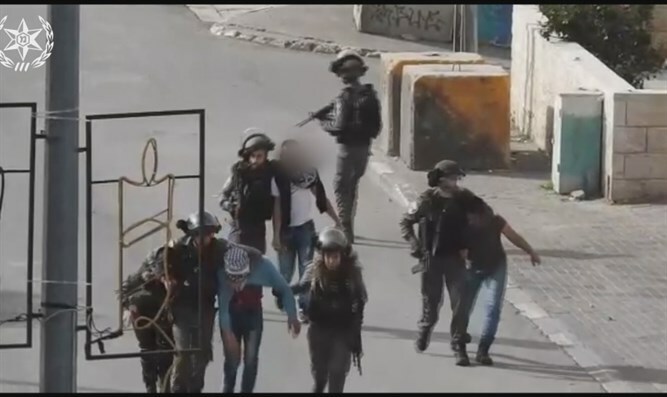 Security forces arrest Palestinian Authority Arab youth near Bethlehem. Border Police on Wednesday morning were confronted with 50 Palestinian Authority (PA) Arab rioters who burned tires and threw rocks and other objects. The Border Police officers on duty used crowd dispersal methods to control the disturbances in Aida, near Beit Lechem (Bethlehem). The officers arrested four suspects, after which the riot dispersed. All the suspects are PA youth and residents of the area. They have been transferred for interrogation. Earlier on Wednesday, PA Arabs rioted and threw rocks at IDF soldiers operating in the town of Halhul, north of Hevron. The soldiers arrested one of the rioters, and handled the others using crowd dispersal methods.